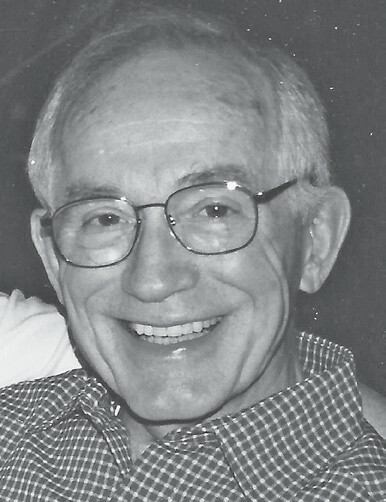 FRANK MARLIN FAITH, 88, of Swartz Creek, died Thursday, March 21, 2019. Frank was born January 5, 1931 in Flint, the son of Chalmers and Nora (Emigh) Faith. He was a veteran of the Michigan National Guard. Frank married Eileen Reid on October 7, 1951 and she preceded him in death on August 13, 2018. He retired from General Motors as an Electrical Engineer and, after retirement, taught at Delta College. Frank was a member of Swartz Creek United Methodist Church, where he was active in the choir, bell choir, church orchestra, teaching Sunday school and Pasties sales. Surviving are his children, Bonnie (Bill) Brady of Banner, WY, Chris Faith of Arlington, WA, Frank, Jr. (Lisa) Faith of East Waterboro, ME, Dave Faith of Parker, CO, and Eric (Ethel) Faith of Minneapolis, MN; 10 grandchildren and two great-grandchildren; sister, Linda (Bruce) Handley of Burton; brother, Ray (Teresa) Faith of Bedford, MA; and several nieces and nephews. He was preceded in death by his parents; wife; and three brothers, Jac, Gene and C.C. Faith. Those desiring may make contributions to Swartz Creek United Methodist Church or Durand Senior Care and Rehab. Funeral Service will be held 10 a.m. Monday, April 1, 2019 at Swartz Creek United Methodist Church, 7400 Miller Road, Swartz Creek, with Rev. Dr. Gary Glanville officiating. Private burial will be held at Flint Memorial Park. Visitation will be 9 a.m. Monday, April 1, 2019 until time of service at Swartz Creek United Methodist Church. Arrangements by Sharp Funeral Homes, Miller Road Chapel, Our temporary location at Hill Creek Church 5363 Hill Rd., Swartz Creek (Mundy Township). Tributes may be shared at www.sharpfuneralhomes.com.